To be able to place the best candidates, we require a reliable and efficient support team. They operate behind the scenes, but they are very valuable to make sure our systems and processes run smoothly and key to Whitehall’s double-digit growth over the last ten years. 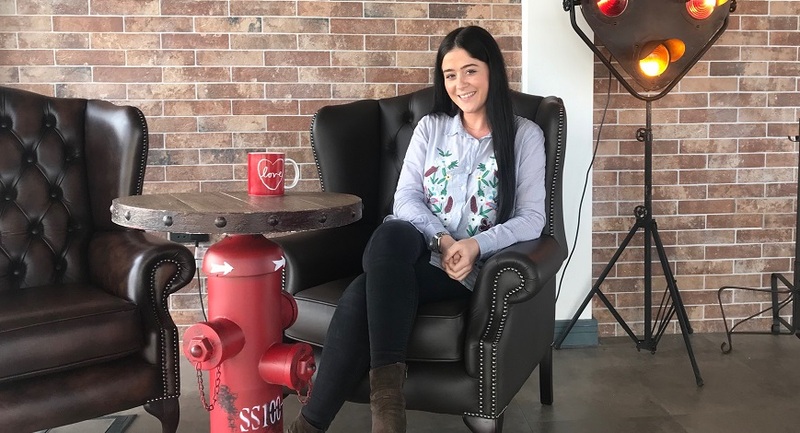 Whitehall’s Support Person of the Year 2018, Rhi Hodgkins, tells us what it’s like to be part of the Admin team and how she became an award winner. Why did you join Whitehall? I used to work in a children’s nursery but it was not a career that I felt would take me far. I thought I would have more opportunities and choice if I took an office job. Back in 2015, I heard about Whitehall through a friend, who mentioned the company was expanding and had several positions available. I researched the company and applied for one of the administration roles. I joined in 2015 and really enjoyed learning the everyday tasks. What do you do in your job role? In the Admin team we have a few core tasks: We register, format and update thousands of candidates’ CVs on a monthly basis (sometimes in foreign languages), we function as a switchboard for both the UK and Germany offices taking around 6,000 calls a month and we support the recruitment teams when they require. With the company growing at this rate, it means we are always busy… making the days fly by! As a Senior Administrator I am responsible for training new admin staff and supporting my colleagues with any queries. It means investing a lot of my time in training, but it feels great to be able to help others, give them little tips on how to make their job easier and motivating them. That is what I like the most about my job, to support and make teammates feel appreciated and rewarded for their efforts. I also host monthly meetings and do reports for the management team, and recently learned how to do contracts, which I am really enjoying. Motivation is actually very important in this role. For me, there are two things: the first one is the team I am working with. They are very hardworking, everyone gets on and they are all so much fun to be around…. the best bunch of people! The second one is seeing the company growing, being part of making it happen and knowing I am a part of that success. Being promoted to Senior Administrator in 2017 and winning Support Person of the Year 2018. That is my first award and it is very special – I always wanted an award and I worked hard to achieve that. It means a lot to me. I would like to progress further and become a Team Lead. Can you tell us three things most people don’t know about the Admin team? We love a competition. We organised a monthly contest we called “The McDonalds challenge” in which we had to answer the phone as happy as we could. If we receive a compliment from the caller we would win a McDonalds breakfast at the end of the month. We have a funny chart with cartoon look-alikes of us all, that shows how we are doing with our CV register targets. It is like a race – it promotes healthy competition and keeps us on our toes. We have a big target set for the end of our financial year. We are working as a team to hit it so we can have our own special Admin milestone reward. What do you like the most about Whitehall? I like how friendly everyone is and being part of a social company. I like that everyone makes you feel really welcome, that everyone here chats to you when they get a chance. The whole team is great and working at Whitehall has a lot of perks. We have the best Christmas parties, summer parties and milestone events. It is good fun and you feel rewarded for your hard work. I would like to say thank you for being so amazing! All of them come into work each day with a smile on their faces and a story to tell. They are really hardworking, good people and a pleasure to be around.